Ross Garnaut, Jane Golley and Ligang Song. China has made some remarkable achievements during the first three decades of economic reform and opening up, rising to become one of the world's most dynamic and globally-integrated market economies. Yet there remains much unfinished business on the reform and development agenda, coupled with newly emerging challenges. 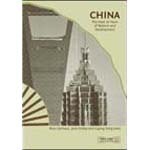 China: The Next Twenty Years of Reform and Development highlights how the deepening of reforms in critical areas such as domestic factor markets, the exchange rate regime and the health system, combined with the strengthening of channels for effective policy implementation, will enable China to cope with the challenges that lie ahead. These include responding to the pending exhaustion of the unlimited supply of labour; playing a constructive role in reducing global trade imbalances; enhancing firms' ability to innovate; coping with migration, urbanisation and rising inequalities on scales unknown in world history; and dealing with rising energy and metal demand in an era in which low-carbon growth has become a necessity rather than a choice. Video and audio links of the presentations can be found below.